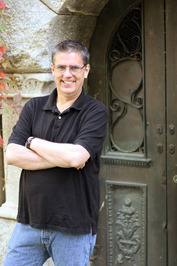 J. Scott Savage is the author of the Farworld series and the Case File 13 middle grade series. He grew up in Northern California and now lives in Utah with his wife and four children. Scott has held too many jobs to count, including: a mall Santa, French chef, CEO of a dot com, plumber, radio station talk show host, and the guy who sits in the little photo developing booth. He has completed one marathon and hopes to complete another when the memories finally fade away. He loves reading, writing, camping, playing games with his family, and especially hearing from and meeting his readers. To e-mail him or schedule a visit, come to his website www.jscottsavage.com. Now I'll admit right off the bat that I am not a huge fan of zombie/werewolf/vampire stories. It's the one genre I usually stay far away from. 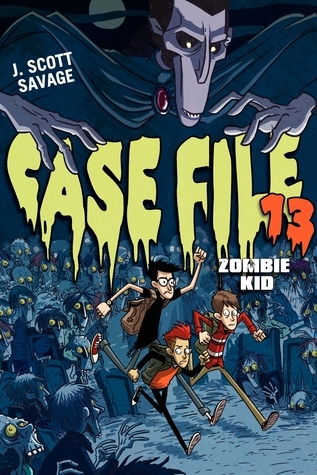 But with Scott coming to my school for an author visit, I felt like I should read Zombie Kid, since that would be the focus of his presentation. Surprisingly, I quite liked it. Now the book does have a strong gross factor (we are talking zombies here, not to mention 6th grade boys), especially once Nick turns into a zombie. But it wasn't too bad and none of the kids I shared it with seemed bothered by it. I liked the three main characters, who had enough depth to be interesting, but the focus here is on plot, which for most middle grade readers is exactly where the focus ought to be. Not only does Nick have to deal with his body falling apart, but he also has a bully after him and three girls who are very suspicious about his changing behavior/appearance. I liked the strong element of humor inserted throughout the book, it lessened the creepiness of the book, making it appropriate for most middle grade readers. Print copy received as part of blog tour in return for honest review. All opinions expressed in this review are solely my own. Bobbie was born in Hollywood, Florida and spent her growing up years up in the panhandle, swimming in the Gulf of Mexico and dreaming of being a mermaid. She has degrees in Psychology and Anthropology, and a Masters degree in Library Science, and has worked as a librarian for over twenty-five years. 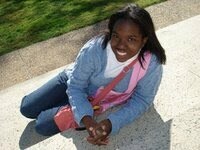 Her first book, a novel for teens titled The Ring (WestSide Books), was published in October of 2009. Her second book, A Dog's Way Home (HarperCollins/Katherine Tegen Books), was published to starred reviews in March of 2011. The Dog Writers Association of America recently awarded Bobbie the Maxwell Medal of Excellence and the Merial Human-Animal Bond Award. It was also named a Banks Street Best Books of the Year. 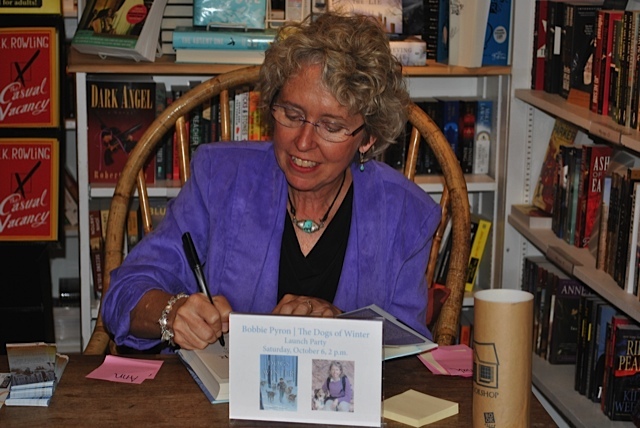 Her new book, The Dogs of Winter (Arthur A. Levine Books/Scholastic), came out October of 2012. 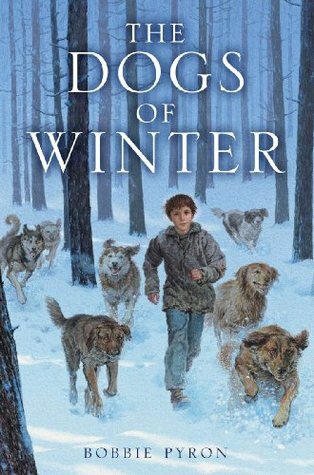 The Dogs of Winter is a Junior Library Guild Selection and a Kirkus Best 100 Children's Books of the Year. Bobbie lives in Park City, Utah with her husband, three dogs, and two cats. Bobbie's Website. Be sure to check out her biography, lots of fun information. Also be sure to check out my review here. THE DOGS OF WINTER was inspired by the true story of Ivan Mishukov, a 4-year-old boy in Russia who lived homeless on the streets of Moscow in the mid 1990s. For two years, he survived brutal winters, starvation, and the ever-present threats of gangs of older children, because he was adopted by a pack of feral street dogs. I first read about Ivan’s amazing story back in 2005, in a magazine article on feral children. I was completely blown away. First of all, I couldn’t imagine a child that young living (much less surviving) on the streets of Russia; secondly, when I read that he was just one of tens of thousands of children homeless in Moscow at that time, I couldn’t understand it. I mean, this wasn’t after WWII or after the Russian revolution—this was recent! So, being the good librarian I am, I started doing research. One of the many things I learned was the fall of the Soviet Union was absolutely devastating to the people of Russia, on a socioeconomic level. We tend to think of it in this country as the fall of the Evil Empire. But say what you will about the Soviet Union, there were lots of safety nets in place for those living on the edge and the elderly. Those all went away after the fall. Within a few short years, there were an estimated 80,000 to 1 million children and teens living on the streets, trying to survive. Ivan was just one of those children. For some reason, I’m really drawn to Mongolia. I don’t know why! Perhaps it’s the light on the vast plains, perhaps it’s how little the life of the nomads has changed in the last 400 or so years. I’ve been to many of the places I’ve dreamed of going: Scotland, Ireland, Nepal, Bhutan. But Mongolia calls to me. What would I do there? Watch and listen. My great, great aunt was Harriet Beecher Stowe, the author of UNCLE TOM’S CABIN. My grandfather used to say that’s where I got my “troublemaker genes” from. What do you especially enjoy about writing? I love creating characters! I love letting them do whatever they want and see where they lead me. It’s magical and I try not to analyze it too much. Or at all, really. I also love connecting with readers, getting those fan emails, meeting them at book signings or on Skype visits. Writing for kids is the best because they are so very passionate about what they love! When I’m not at my desk writing or working at the library, I’m out with my three dogs. I am passionate about being outdoors with them, whether it’s hiking, skiing, snowshoeing, or just meandering along a stream. I have to be out in Nature every day. I have a wild heart. If you win must respond to email within 48 hours, otherwise another winner will be chosen. 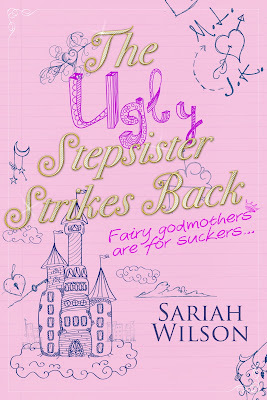 An entertaining and amusing new take on the Cinderella story. 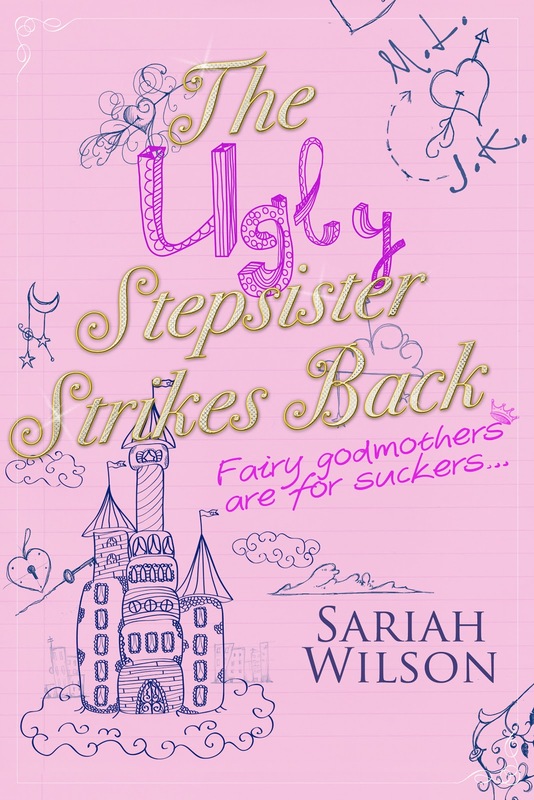 I thought it was clever how the author focused on someone besides 'Cinderella' and how Mattie decided to fight for her own place in her world rather than continuing to let others tell her what to believe about herself. It's a real struggle though, after being told for so long about all her weaknesses and what she isn't doing right (supposedly), she has a hard time stepping out from her sister's shadow and away from her mother's constant criticism. It does have happily ever after ending which I always like. A fun twist on the original story. Recommended. I once stuck a piece of popcorn up my nose (because I didn't like the babysitter) and never got it out! My sister, mother, and I lived for two weeks on The Queen Elizabeth II, a very famous and historic ocean liner. My great-great-great aunt is Harriot Beecher Stowe, the author of Uncle Tom's Cabin. The town where I live, Park City, is at an elevation of 7,000 feet! Bobbie Pyron has a gift for creating characters that live in my heart. She did it with A Dog's Way Home and she's done it with this one, The Dogs of Winter. Mishka won me over in the first few pages and my heart ached for the little boy's suffering and confusion. When his mother takes up with a 'bad' man who uses and abuses them both, Mishka (Little Bear) continues to believe in his mother's love and devotion even when he is forced to sleep in the pantry and goes hungry. But when his mother 'leaves' and the bad man tries to put him in an orphange, he runs away and lives on the streets, first with other children and then a group of dogs. When someone finally steps up to help, he doesn't want to leave his dog family and must face the challenges of learning to be around people again. I'll admit right out that this story broke my heart, mostly because it's based on a true story and because there are undoubtedly many children like Mishka who struggle to simply get enough to eat and yet yearn for love and family. I wanted to dive into the story, take Mishka in my arms and just love him. Pyron has created an emotionally powerful story about survival, love, and healing. This is not a story I will ever forget. Her love for dogs comes shining through loud and clear. I am not a huge dog person, but her books make me love and appreciate the good that dogs can do. I highly recommend this story for those who are emotionally mature enough to handle it. It is a truly thought-provoking and unforgettable read. 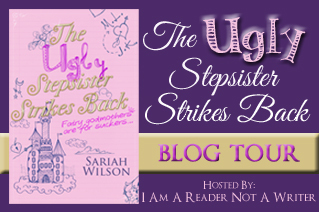 NOTE: Be sure to come back on Monday for my interview with Bobby Pyron and a giveaway of the book! What is the 'story behind the story’? It’s been a story in the making for over a decade. I knew the characters and their quirks in high school. But it was until the past year that I really got a vision for the world that the characters lived in. Since then it’s been a roller coaster ride. 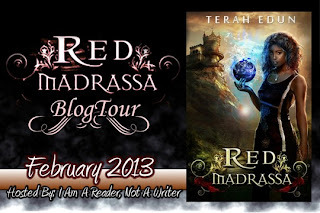 I’d have to say Briar from Tamora Pierce’s Circle of Magic series. He had a hardscrabble life on the streets but didn’t let that shape who he was. He took chances, made friends and grew into a better person and a better mage. I’ve always wanted to see East Asia and in particular go to Thailand. So I would go there and see everything the country has to offer! I’d love to spend a month exploring and then base a book off everything I’ve see. What is your favorite thing to eat/drink? Fancy macaroni and cheese! I love taking box Kraft macaroni & cheese adding spices and half and half to make it thick, creamy and delicious! What is your favorite/least favorite thing about writing? Favorite thing is getting lost in a new world! Least favorite thing would be keeping up with a character storyboard – i.e. which character has red hair, the family lineage, where they’ve been, where they’re going etc. How do you put together your stories? I’m a fly-by-the-seat of my pants type of author. If I had to outline and plot arc I think I would go crazy. Welcome to the 10th Kid Lit Blog Hop. Wow!! What a fabulous turnout in the last Hop with 110 links! . I am so excited for all the wonderful books and articles that were linked in the last Hop and I look forward to hopping around through the links this week. A big thank you to everybody who linked into the last Hop and I hope you will join us all again this week. Enjoy the Hop! 3. Check out some other books. Don't be a stranger, go see what books other families are checking out, and leave them some love in the form of a comment. We are trying to build a community of bloggers, readers, parents, authors, and others who are as passionate about children’s literature as we are so please CONNECT and follow any or all of the blogs that interest you! 4. If you like, grab the button above and put it somewhere on your blog, preferably the post you're linking up. If you'd prefer, you can just add a text link back to this Hop so that others can find it and check out all these great book links! 5. It would really help us get the word out about the Kid Lit Blog Hop if you would be so kind as to tweet, share, and spread the word about the Hop!